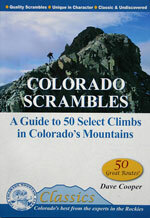 "Colorado Scrambles and Snow Climbs"
Dave Cooper is the author of two guidebooks to the Colorado Mountains: "Colorado Scrambles - A Guide to 50 Select Climbs in Colorado’s Mountains" and "Colorado Snow Climbs - A Guide for All Seasons". 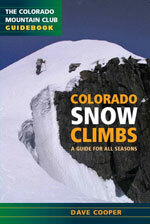 Join Dave as he shares his favorite Colorado climbs in this photo presentation. Dave will include many previously unpublished photos, and will also preview the upcoming Second Edition of the Scrambles book. Born in Yorkshire, England. Holds a doctorate in Physics from the University of Durham, England. 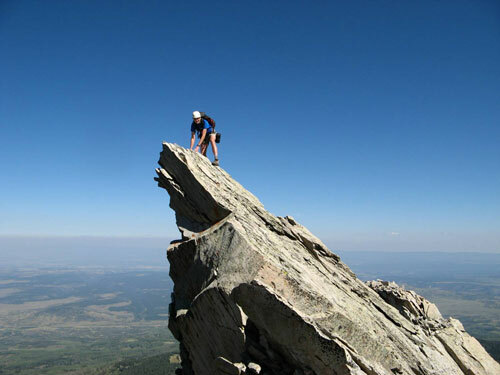 Over 20 years leading trips and teaching all aspects of mountaineering for the Colorado Mountain Club, including rock climbing, ice climbing, winter mountaineering and ski mountaineering. Director of the Boulder Mountaineering School (1996). Dave has spent over a quarter century exploring the Colorado Mountains, and has also climbed extensively in many of the world’s great ranges, including the Andes, Himalayas, Canadian Rockies and Alaska Range. Dave has contributed over 120 articles to the weekly column "Trail Mix" in the Denver Post, a celebration of Colorado’s High Country.